John has always been a successful businessman but he would not have been so successful without his hobbies and passion projects. John is a very creative person. Besides Mentalist, Hypnotist, Writer, Author and Inventor he is also a DJ and Producer and also a Photographer, a Graphic Designer and Video Editor. But even with the greatest hobbies in the world, his number one hobby and passion is the love of his life, his beautiful and lovely wife Godie. She is the resin that John is always scheduling and managing his time to be with her as much as he can, because that's real magic. 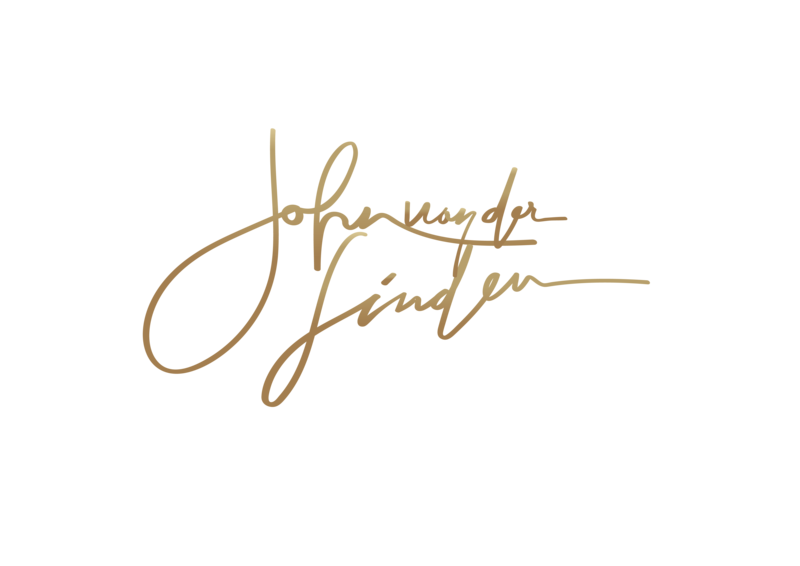 In his books John describes many tricks, effects, handlings and systems that he invented over the years and wrote down in his notes that he carefully writes almost daily. But these are just a small part of his inventions that he wrote down in these private notes that he collected over many years. These notes filled with new methods and new ways of thinking, he wrote to remember everything so that he could reread and improve them in time. It is his dream to one day finish his eXtreMentalism Book filled with very strong eXtreMentalism effects collected from these notes! Consider the first two books a foretaste or a preview of this eXtreMentalism Book that he will be release over a few years. He learned his first tricks from his grandpa 'opa Jantje' when he was very young. At the age of 8 he got a got a big Fred Kaps magic box and he has been performing magic for fun and plesure for over 40 years. and the eXtreme SvenPad Supreme e-Book with over 200 inventions. Aslo he contributed in many other books. 'Pin-Code Killer', 'Rain Man' and many more! consulting shows theater and tv-shows. My name is John van der Linden and I'm from the Netherlands and I’m in love with magic and mentalism for almost 44 years. About 19 years ago I started performing mentalism only. It may be a personal flavor, or maybe it just fits my style and character more comfortably, but I do know I love performing mentalism. As a mentalist I always try to use the smallest number of props possible, and the tools I do use have to feel organic. My preferred tools are my brain and my mind. With my mind (my control center), I may observe, communicate, influence, hypnotize and interact with the people around me, and my brain is the perfect hiding place for my memory systems, mathematical principles, and linguistic abracadabra. It has also been a repository of information for me as long as I have lived, it controls my emotions and it’s the engine of my body. They may not always work together as smooth as I would like them to, but they are invisible and I always have them with me, so I consider the mind and brain to be the perfect weapons for a mentalist. That moment, you know you have a winner! Just like my brain and my mind! Immediately I saw endless possibilities and many other uses for teleFoto, and when I was writing them down, ideas and questions kept bubbling forth. How could I use teleFoto in a completely different way? What special coding methods and mnemonics are suitable for this app? I think I found many of the answers to these questions, and during this journey I have discovered some fascinating new ways to use this amazing app. The same thing happened when I first saw the professional uses for the Svengali principle. It was the book 'This Way Up' that inspired me to create new and other material for these pads and when Brett Barry created the perfect pads the idea was born to write a book from my notes. John has also been studying the paranormal for as long as he lives and with a private library filled with thousands of books and videos about not only mentalism, bizarre magick and hypnosis, but also psychology, the paranormal and occult he became a specialist in many of these fields. He has been advising many paranormal and psychics and warn them for the unknown danger of providing wrong information and especially the danger of talking to the death. He wants to help the paranormal and psychics so they can practice their abilities in a safe way without hurting inocent people. It is a fact that many paranormal and psychics harm those innocant people that they actually wanted to help. Most of the time without knowing and totally unintentional. They just don't know what the long term danger is. As long as these people go home happy the paranormal and psychics believe they did a good job but John will explain what can go wrong even long after these people are gone and even more important he will teach you how to prevent this and how you can really help. This will be his next book that will step over the line of entertainment and into the world of the paranormal with all the fun and danger that comes with it. A book filled with eye openers, guidelines and even some magic, true stories, happy and sad but most of all many useful tips for people that really want to help or heal other people. Maybe we will work together soon!